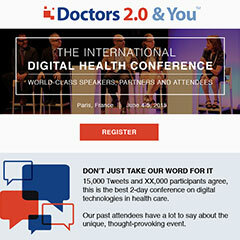 The team at Doctors 2.0 & You needed a better way to get the attention of their audience. Their enewsletter was streamlined and given a modern feel including branding consistent with their current website. By also changing platforms, the team was better able to a/b test and deliver the right message to their target audience. Both open rates and click-through rates have improved since the new template was implemented.